The new Huawei Mate 9 will be the first device to update directly to the latest version of Google's mobile operating system, Android 7.0 Nougat, it is a fact, as it is that the Chinese phablet interface will be customized from the day of its debut with all the new features offered by EMUI 5.0. But in addition, we now officially know what other Huawei smartphones will receive the update to the new version of Android. The manufacturer has made public a list with the smartphones that will receive the update. 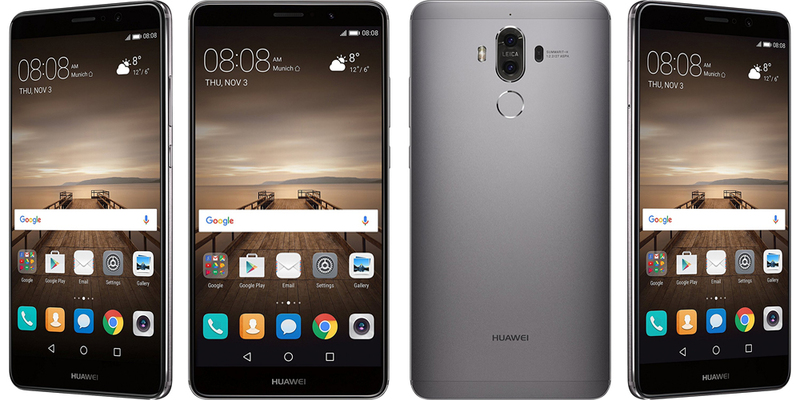 This list begins with the model of the previous generation, the Huawei Mate 8, followed by the first two high-end smartphones of this 2016, ie the Huawei P9 and its variant of larger size and specifications, the Huawei P9 Plus. To these, the company add the Huawei P9 Lite and the two most recent models, the Huawei Nova and the Huawei Nova Plus. As always, the list of devices could be extended in the future with the inclusion of other recent cell phones (such as Huawei P8 and P8 Lite). As for the pace of updates, Mate 8 and Huawei P9 will see the arrival of new firmware in the first quarter of next year, while others will have to wait a few more weeks. Of course, the update will be distributed via OTA (over-the-air). Focusing on EMUI 5.0, Huawei promises significant improvements and news in performance, privacy protection, design and security. Everything has been redesigned to greatly simplify the interaction with menus and applications, allowing users to perform any action through a minimum number of touches on the screen. In addition, through the use of machine learning, the use of system resources is optimized based on the behavior and habits of each user. If you are interested in knowing more about the update and you own a Huawei P9 or a Huawei Mate 8, you can participate right now in the beta program and test the operating system on your device, simply by downloading an application and installing the official firmware (at your own risk, being a non stable version of Android Nougat).